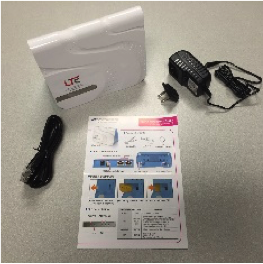 Click the link or pictures of the NMU issued LTE devices below to view its setup instructions. NMU LTE devices are available NMU students, faculty, staff and NMU retirees at the Micro Repair Department. All others please see what options are available via the NMU Education Access Network (EAN). Please check your NMU LTE device can connect and is working properly at the NMU HelpDesk before attempting to use it at your home or other locations where NMU LTE is available. An NMU LTE card and SIM can be installed into the NMU ThinkPads at no charge. 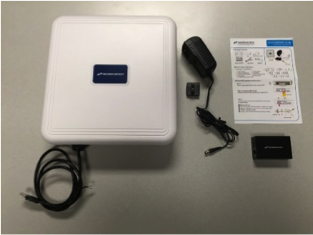 A Portable LTE Router Device can be issued at no charge to those issued NMU MacBooks. Outdoor devices DO NOT provide WiFi. A separate WiFi Router must be used to provide the Internet access to more than one computer connected via the Ethernet connection. Outdoor devices typically have a single POE (Power over Ethernet) cable running into the dwelling attached to an AC adapter to provide power to the device. 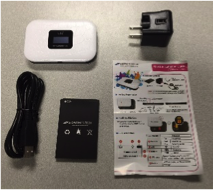 The AC adapter has a second Ethernet connection to provide Internet access to a computer or WiFi Router $130. Click the link or pictures of the NMU issued LTE devices below to view its setup instructions. Outdoor devices can also be used indoors. AC powered devices that provide WiFi and Ethernet connections to up to 10 devices within a dwelling. Battery powered devices that provide WiFi and a USB connection to up to 5 devices in about a 30 foot radius.